Phryne Fisher, intelligent, brave and stunningly chic, is back in this most entertaining mystery. With a brand new stylish 1920s cover, this seventh Phryne Fisher murder mystery is superb. Phryne Fisher, scented and surprisingly ruthless, is not one to let sleuthing an horrific crime get in the way of an elegant dalliance. The redoubtable Phryne Fisher is holidaying at Cave House, a Gothic mansion in the heart of the Victorian mountain country. But the peaceful country surroundings mask danger. Her host is receiving death threats, lethal traps are set without explanation around the house and the parlourmaid is found strangled to death. 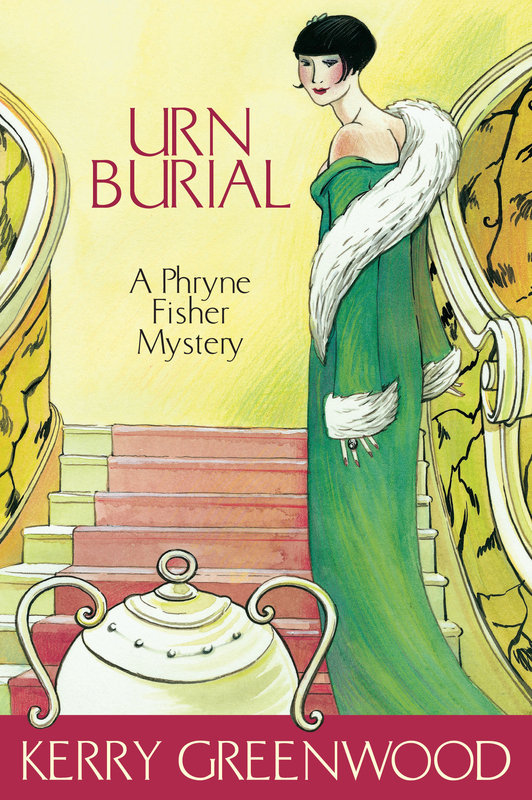 What with the reappearance of the mysterious funerary urns, a pair of young lovers, an extremely eccentric swagman, an angry outcast heir, and the luscious Lin Chung, Phryne's attention has definitely been caught. Phryne's search for answers takes her deep into the dungeons of the house and of the limestone Buchan caves. But what will she find this time? Kerry Greenwood has written thirteen other novels in the Phryne Fisher series, the most recent being The Castlemaine Murders (2003). She is also the author of The Childstone Cycle, Cassandra, Recipes for Crime (with Jenny Pausacker) and has edited The Things She Loves, a collection of essays about women who kill.